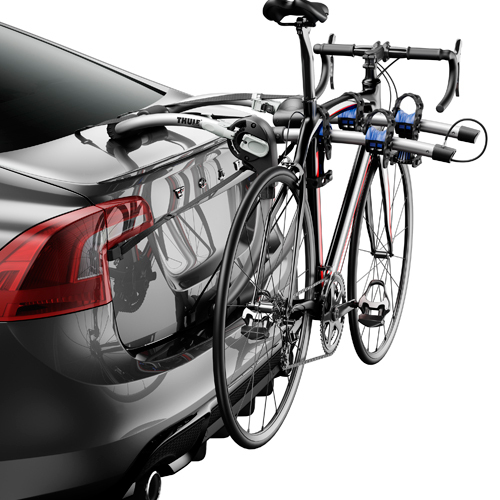 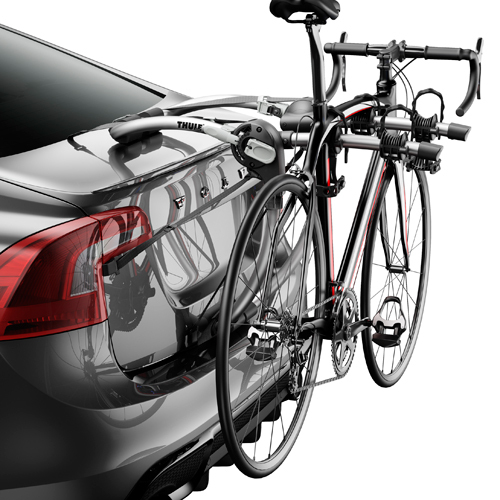 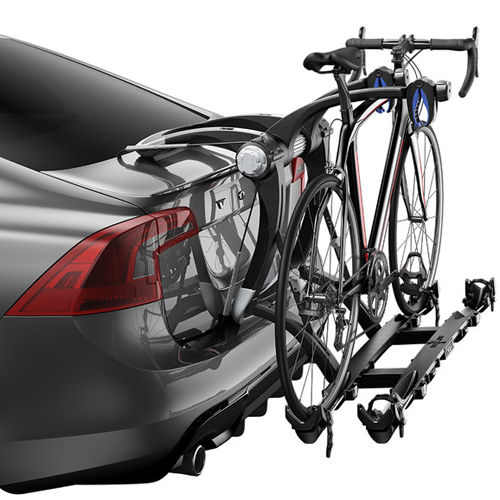 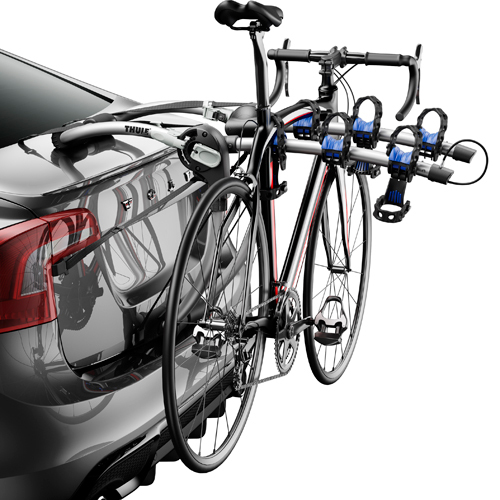 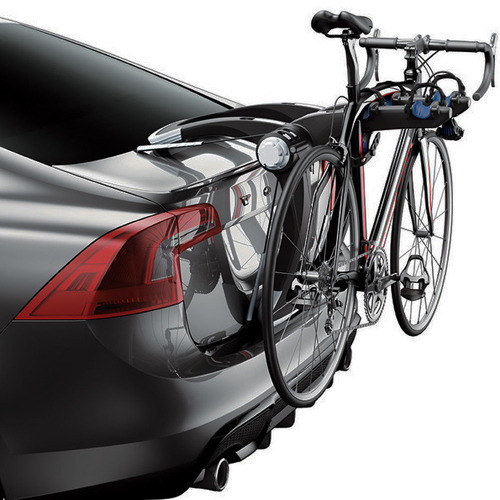 Thule Trunk and Rear Hatch Mounted Bicycle Racks and Bike Carriers from The Rack Warehouse are an economical, convenient way to transport your bikes on the rear of your vehicle. 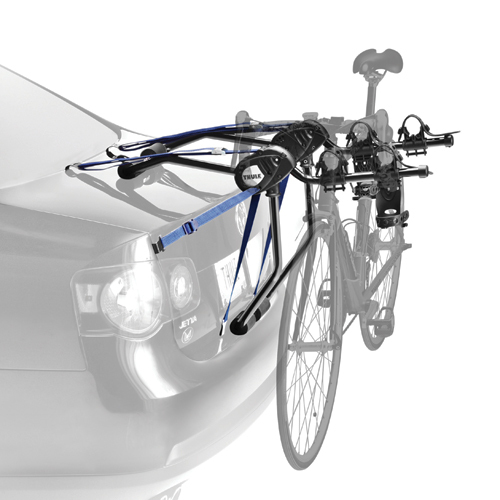 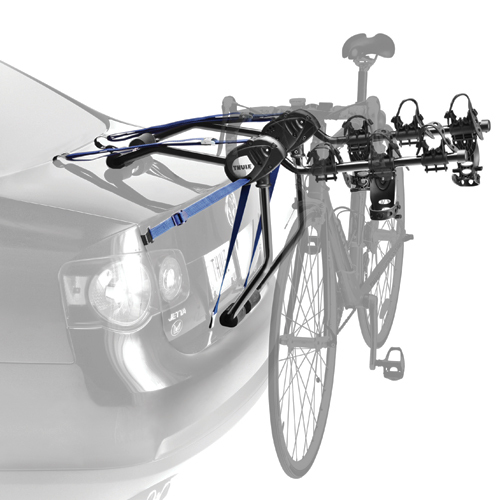 Unique products like the Thule Raceway and Raceway Platform utilize a ratcheting cable system to firmly attach your bike rack. 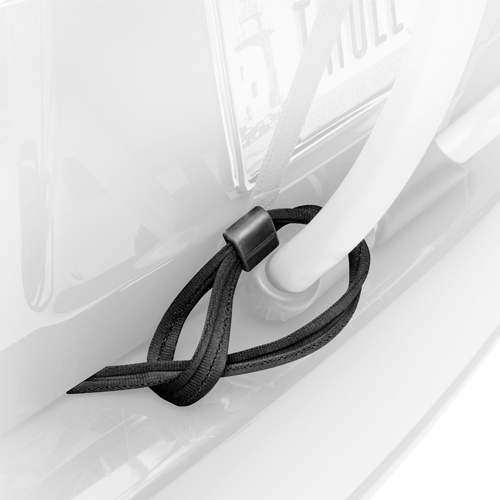 Other strap-on versions like Thule Gateway, Thule Passage and Thule Archway use polypropylene straps to tightly fasten to your vehicle. 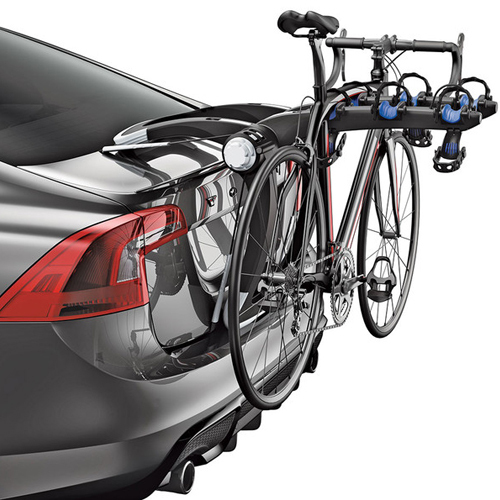 All of these Thule Rear Trunk and Hatch Mounted Bicycle Racks and Bike Carriers are available in 2 or 3 bike styles. 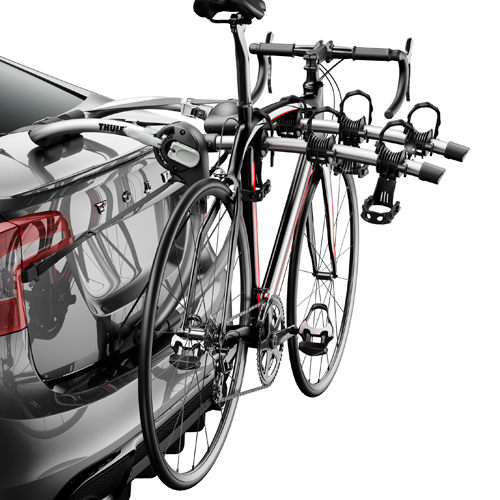 If you have a trailer hitch receiver, consider a Thule Trailer Hitch Receiver Bike Rack to avoid any contact with your vehicle body.